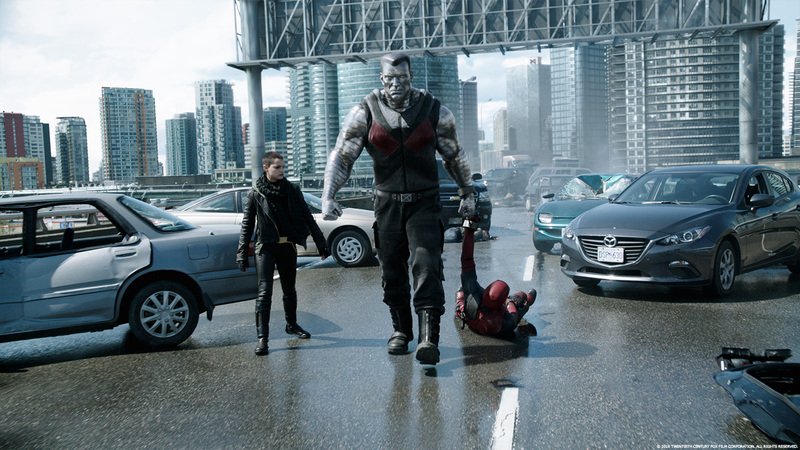 For Deadpool, VFX powerhouse Digital Domain was tasked with creating the CG character Colossus and some major CG work in the climactic battle scene. To keep both their LA and Vancouver offices in sync with director Tim Miller, Digital Domain relied on cineSync. In a recent interview with Art of VFX, VFX Supervisor Alex Wang talked about Digital Domain’s contribution to the show and how the collaboration worked between DD, the director and the overall VFX Supervisor Jonathan Rothbart. How did you and Digital Domain got involved on this show? Jonathan Rothbart (production VFX Supervisor) and I worked closely together for many years during my time at The Orphanage. After I left The Orphanage, over the years we kept trying to figure out a way for us to work together again. When Jonathan approached me with DEADPOOL and showed me the previz, I immediately wanted to be involved with the film. How was the collaboration with director Tim Miller and VFX Supervisor Jonathan Rothbart? Being that Tim Miller owns Blur Studio, he was extremely comfortable and knowledgeable about visual effects. It was a medium where he knew how far he could stretch it and what his limitations were. Because we all spoke the same lingo, I think we had a very collaborative relationship with Tim and Jonathan. What impressed me the most was how sure Tim and Jonathan always were with their decisions. Phil Cramer (animation director) and I flew down to LA for the mocap and MOVA sessions. It was then quite obvious that Tim was very much in his element. He was always very sure with what he was looking for in a mocap or MOVA performance. The vibe was always very calm, and Tim often appreciated feedback and opinions from us. What was their approach about the visual effects? 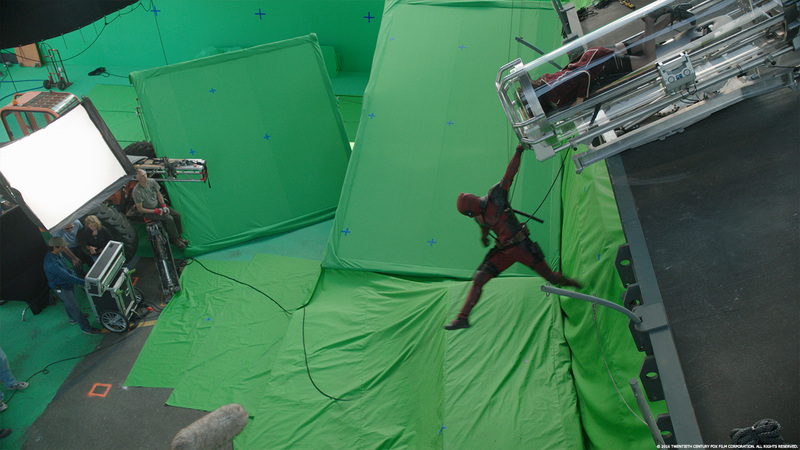 DEADPOOL definitely demanded some complex visual effects that would be comparable to the ones you would see in other superhero movies with a much larger budget. We never wanted to use a tighter budget as an excuse for lower quality visual effects. What ultimately helped with our success was being efficient. At the beginning of the show, Jonathan demanded that all the vendors work together and share assets with each other. Jonathan was also fantastic with giving us direction and I felt that his feedback always kept us moving forward. Digital Domain worked primarily on three sequences. When Colossus meets Deadpool and tries to persuade him to stop being a mercenary and join the X-men. 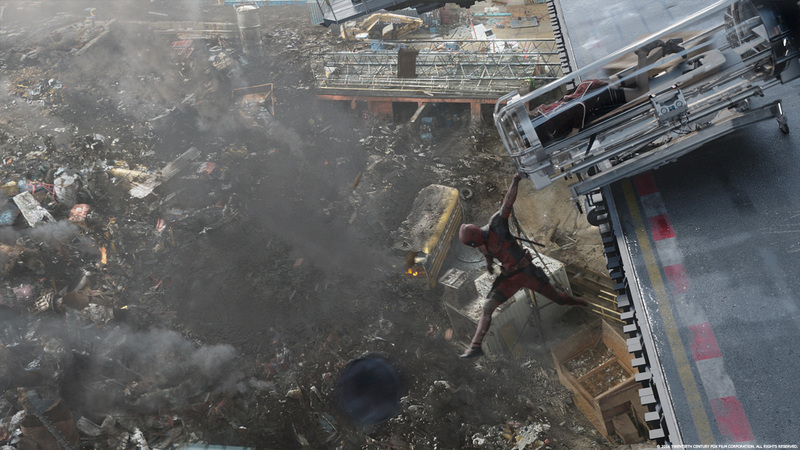 There’s also the sequence when Deadpool, Colossus, and NTW enter the scrapyard for a battle against the bad guys. Last but not least, we were responsible for the Helicarrier collapse sequence. Can you describe one of typical day on-set and during the post? Shooting in Spring in Vancouver was a challenge due to the unpredictable weather. There were days where in the morning it would be beautiful blue-sky and sunny, and by mid-afternoon it would be overcast and pouring rain. Even though our main sequences were all shot exterior, in many situations the DP (Ken Seng) would use giant black flags to block out most of the natural light so he could control the lighting better and stay consistent. Jonathan was really good about getting us all the reference material we needed on set. His data wrangling team always consistently got us HDRIs and gray/chrome ball reference. Jonathan did not want us to have any excuse later on! In post, we started the day with department rounds followed by dailies. We would have multiple dailies sessions throughout the day, which allowed compositors to address notes before sending shots over to the client for review. Luke Botteron (our VFX Editor) was always in sync with the client’s vfx editor to update me with any cut changes. Luke would look at every shot before they were sent to ensure we matched the correct cut length, color grade, and framing. We started with client review sessions with the client twice a week, but towards the last few weeks we sometimes had multiple client calls per day. We always had a Skype session along with cineSync during our client calls with Jonathan and his production team. What was the main challenge for you and your team? I would say the main challenge we all faced as a team was the very condensed schedule. We all accepted this challenge, and a lot was asked from the team to deliver such stellar visual effects in such a short amount of time on a tight budget. I couldn’t be more proud of our accomplishment. 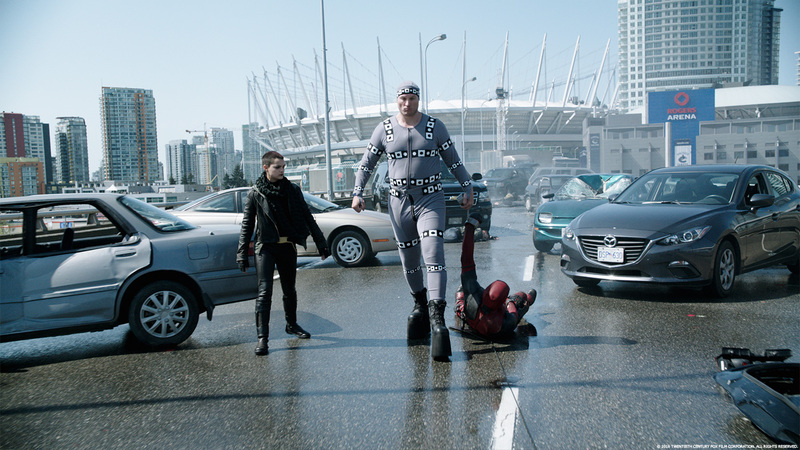 Digital Domain’s scope of work on DEADPOOL was 249 shots. We had artists in both our LA and Vancouver locations. The total team size was around 140. The rest of the article, including some in depth breakdowns of the creation of the Colossus character and of the major battle sequences, can be read in full at Art of VFX.